Donald Trump and his new handpicked Attorney General William Barr are conspiring to commit felony obstruction of justice by lying to the American people about a report which details Trump’s prior acts of felony obstruction of justice. This has to stop – absolutely has to stop – and it has to stop right now. House Democrats are doing everything they can right now to try to put a stop to this Trump-Barr crime spree, and the House Democrats will succeed in the end. It just won’t happen nearly as quickly as some pedestrian observers want it to happen, because things like subpoenas aren’t magic wands that deliver instant or automatic results. In the meantime, a newly emboldened Donald Trump is pushing full speed ahead with whatever his next steps are when it comes to punishing nonwhite immigrants for not being white, and America inches closer to being Nazi Germany. There is one man who can put a stop to this right now, and his name is Robert Mueller. He can’t simply leak his entire report to the public without risking legal trouble, considering it ostensibly includes classified information. But Mueller can leak everything that’s not legally questionable. What is the DOJ going to do, fire him? He’s out of a job now anyway. All that Robert Mueller has to do is grab a microphone and start talking about what’s really in his report, and suddenly the Trump-Barr coverup will collapse. Donald Trump will be back to playing defense, and William Barr will slink off in the hope that the nation forgets to indict him after Trump is gone. 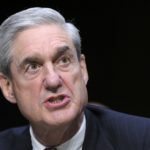 Mueller won’t do it this week – no way. But if Barr releases a dishonestly redacted version of the report next week, as expected, Mueller will have to do the patriotic thing by opening his mouth and ending this.